For some Muslim entrepreneurs, it seems as if success comes effortlessly, whilst others seem to struggle all the time. Why is it that given the same opportunity, one person succeeds and the other fails miserably? Why is it that some people seem to achieve more in one week than others do in one month? Outwardly, these successful, productive Muslim entrepreneurs may not seem much different from anyone else. But upon closer inspection, they have several qualities that set them apart from everyone else. Before we dive deeper into what those qualities are, let’s define what success and productivity really mean. We need to ask: is the successful entrepreneur the one who makes a lot of money forgetting all else, including their duty to Allah , their relationship with their loved ones and their health? Well, the definition of success that we should consider true is not a one-dimensional one, measured only by the tangible amount of money you have. It’s a more holistic, well-rounded view instead, that places success in the Hereafter as the ultimate goal. No matter how “successful” we are in this world, if we have failed to achieve the pleasure of Allah , and thus, Paradise, we have failed. Furthermore, our view of success should encompass all areas of a person’s life. Yes, certainly a successful business is part of it, but so are good relationships, health and overall happiness and life balance. Our view of success should also be closely intertwined with productivity, the fruitful use of your time. A person may have millions of dollars in his bank account, but if he spends every second of his life just working to earn this money, is he really productive? Time is the currency of this life. When you think about it, time is really all you have. The time you have on this earth is what you spend to do good deeds and earn you a place in Paradise in sha Allah. Now that you know what my definition of success is, let’s dive into what qualities and attitudes you need to develop in order to achieve it. 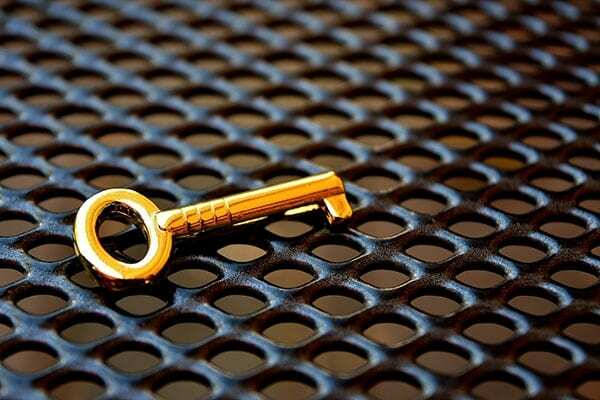 I call them my 15 Golden Keys to success. The first key to productivity and success as a Muslim entrepreneur is to develop an awareness that both your worldly success and your success in the Akhirah are inextricably intertwined. In Islam, there is no conflict between the material and spiritual worlds…if handled correctly. Earning a halal income should be viewed as an extension of your religious faith and as a religious obligation. After you have fulfilled your primary religious obligations, one of the most productive uses of your time is to use it to earn a halal income. It means that every decision you make as far as your business goes should be done in alignment with the Qur’an and Sunnah. If you use the Qur’an and Sunnah as your guide, you will not indulge in anything doubtful, let alone anything haraam. If you want ultimate success, you need to always put your duty to Allah first. When it comes to fulfilling your religious obligations, your business should not stand in your way. This means that when it’s time to perform salah, you need to stop what you’re doing and head to the prayer room or masjid, without any worry that you are leaving your work as you are fully aware of the fact that Allah is the One who provides sustenance. Wouldn’t you want to be included in this verse? I know I would. Putting your duty to Allah first is the ultimate productivity tool. Why? So put Allah first and watch your business flourish. All your actions will have barakah (blessings) in them, instead of being bereft of them. In a world that is becoming increasingly Islamophobic, and where anti-Muslim rhetoric spreads faster than a wildfire, don’t be afraid to be proudly Muslim. Be empowered by your faith, rather than ashamed or apologetic about it. And as you go about your business, always remember that you are an ambassador of Islam, so take great care to exemplify the conduct of Prophet Muhammad . Honesty, integrity and good conduct should form the cornerstone of all your business dealings and interactions. Successful Muslim entrepreneurs use their time wisely. Allah has given everyone exactly the same number of hours in the day. But successful entrepreneurs seem to get far more done in that same 24 hours than the average person. In essence, they are far more productive. The successful person is aware of the value of their time and they spend it on the things that matter. The first step to using your time well is to know that value of your time. What is an hour of time worth to you? Your income goal for the year ÷ (The number of weeks you want to work in the year X The number of days you want to work each week X The Number of hours you want to work each day). Let’s look at an example to make this clearer. Let’s say your income goal is $100,000. You’ve decided that you want to take six weeks off this year. That leaves you with 46 working weeks. Then you decide that you would like to work 5 days a week, for 8 hours a day. Just knowing the value of your time will make you more productive. Now that you know the value of your time, the next step is to get rid of all low-value tasks so that you can become far more productive than before. Let’s face it, no matter how efficient you are, you are still limited to 24 hours in a day. This often means that you can’t get everything done all by yourself. You will need help, especially as your business grows. Productivity doesn’t mean doing it all by yourself. You can’t and you shouldn’t. There are two ways you can reduce the size of your to-do list and avoid feeling overwhelmed; the first is to automate and the second is to outsource. We live in a digital world where automation is becoming an increasingly important and inevitable part of our lives. Take a moment to think about those tasks that are time-consuming, boring and repetitive. Is there any way that you can automate these tasks? Is there any software that can do the same thing faster and more easily? If there is, then take the time to set up these systems. You’ll thank yourself later. Outsourcing and delegating these tasks to others means that you can spend more time focusing on the things you excel at and that help your business move forward. When you start focusing on the things you’re good at (often to the exclusion of all else), your productivity will soar and you will become unstoppable, in sha Allah. And if you’re wondering where you’re going to get the money for outsourcing then think about the hourly rate you worked out earlier. Does it make sense to spend four hours doing a $12/hour task when you could be spending that same time to generate $217.40? You don’t have to hire a full-time staff member if your business is small. You can start off by hiring a VA (Virtual Assistant) a few times a month. And don’t limit your thinking to your business life. What areas of your personal life can you outsource, so that you can become a more productive person overall? Do you hate housework? Perhaps you could consider hiring a cleaning lady to come in once a week or fortnight. Are errands eating up all your free time on the weekend? Consider hiring a college student to run errands for you and then spend your free time doing something productive or fun, like taking your kids to the beach or reading a good book. Now that you’ve whittled down your to-do list, it’s time to supercharge your productivity by prioritizing what’s left. It’s human nature to deal with those things that scream for our attention first. But reacting like that is the ultimate productivity killer, simply because the things that build your business and improve your life rarely present themselves as urgent. And if you spend all day “putting out fires” you’ll often come to the end of the day without spending any time on the things that really matter. In today’s digital age, email is a task that seems important, but in the bigger picture, it rarely is. The most productive people I know rarely ever check their email first thing in the morning. If you start your day by checking your email and responding to emails first, you’re letting other people’s agendas determine the direction of your day. So one habit you can develop that will improve your productivity dramatically is to spend the first few hours (or at the very least, the first hour) of your workday, focused on tasks that will move your business forward. But how do you know exactly what these important, business-building tasks really are? Then write them down and start working on them first thing in the morning. When you do this your productivity will soar, and you will reach your goals much more easily. A secret to super-productivity is simply to work in focused blocks of uninterrupted time. This means that for a certain brief period of time, you focus on nothing but the task at hand. The length of your focus period depends on you as an individual and how long you can sustain focus without your mind getting tired or bored and wandering off. I find that between 30-50 minutes of focused time is best. You can start off with a 30 minute focused session and then gradually work your way up to a full 50 minutes of focused work. Take a short break between each session of around 5-10 minutes. Try to do something physical and get away from your desk during your break. You could make yourself a cup of coffee, get a snack, go for a brisk walk or do some stretches. After two to three sessions like this (30-50 minutes of work followed by a 5-10 minute break) take a longer break of around 30-60 minutes, for lunch, prayer or even a mid-morning power nap. If you start implementing this strategy, you will become a productivity ninja and the people around you will be amazed at all that you’re able to accomplish. It’s so easy, in today’s digital era, to blur the boundaries between home and work. Because we’re “always connected” it’s all too easy to fall into a pattern of working all day long without even realizing it. It’s so tempting to think “I’m just going to check my email for five minutes” and before you know it an hour or more has gone by…time you could have spent in voluntary worship, with your spouse and children, exercising or just relaxing and unwinding. Work expands to fill the time available. If you feel you have all day to accomplish a task, that’s exactly what it will take. All day. On the other hand, if you know that that same task needs to be completed in two hours, then more often than not, you will complete it in two hours. In addition to that, you need to have some “downtime” each day in order to perform at your best. Your brain can’t be in work mode all day without risking burnout. You’ll also notice that some of your best business ideas come when you’re doing something else: when you’re washing the dishes, taking a shower or going for a walk. Having a clear start and end to each working day can be one of the best things you can do to boost your overall productivity. All my life I have been fascinated by one burning question: “Why is it that some people are successful and others are failures?” I’ve spent years observing people for differences in attitude, thoughts, and behavior. One of the key differences I have found is in how successful people spend their free time vs how unsuccessful people spend their free time. Islam encourages us to consider time as a blessing from Allah and to use it productively and constructively. Successful people spend their time on constructive leisure time pursuits instead of frittering it away on useless play and amusement. This doesn’t mean that they don’t enjoy their leisure time. In fact, they enjoy it more and come away more refreshed than those who spent all weekend watching reruns of Seinfeld or wandering aimlessly around the mall buying things they don’t need. Pursuing beneficial knowledge, Islamic or worldly. This includes reading good books, taking courses to further your business skills, pursuing Islamic knowledge (Qur’an or Arabic classes for example) or even learning more about a topic that interests you. Does this mean that you should never veg out on the couch? No, not at all. There’s a time and a place for everything. But as far as possible, your leisure time should be used productively to make either your life or someone else’s life better. If you want to be a successful Muslim entrepreneur then you need to set high standards for yourself, your products and your employees. Having high standards means that you are always striving to excel at what you do… to provide world-class products and superlative customer service. This attitude should permeate your entire organization and everyone should share the same vision. Successful Muslim entrepreneurs are driven by a strong desire to help and serve people through their products and services. Your business will succeed to the extent that you provide value to the marketplace. The more value you provide, the more money you will make. It’s that simple. I’ve touched on this point briefly in the section on spending leisure time productively, but it’s so important that it bears repeating and expanding upon. If you really want to be at the top of your game, you need to become a lifelong learner. From interviewing, speaking to, and listening to many successful entrepreneurs over the years, I noticed that those who were at the very top of their field invested a minimum of 10% of their income back into education and training. This simple step, if implemented faithfully and consistently, has the power to catapult you to the top 1% in your chosen field. Use your leisure time to listen to audio programs and watch videos that will help you improve your skills and learn new ones. Attend workshops and seminars, related to your area of expertise, whenever you can. A simple way to find time for learning is to turn “downtime” into learning time. You can easily turn your car into a “university on wheels” by listening to educational programs and podcasts as you drive. Do the same when you’re cooking, washing dishes or going for a walk. Simply load up your smartphone or download a Podcast app and double your productivity by turning chore time or exercise time into learning time. The key is to look for those times when your body is occupied but your mind is essentially free. You’ll be amazed at how much you can learn and how this will boost your productivity and set you on the path to success, in sha Allah. This doesn’t mean that you shouldn’t learn from your mistakes. You should, just don’t let them keep you down. You also need to keep in mind that problems are part of life. There is no individual alive who doesn’t have some problem or other. Jeff Olson, author of the wonderful book The Slight Edge, says about problems: “The size of the problems determines the size of the person. You can gauge the limitations of a person’s life by the size of the problems that get him or her down.” Isn’t that so true? He also goes on to say, “You can measure the impact a person’s life has by the size of the problems he or she solves.” So the bigger the problems you’re solving, the larger of an impact you’re having on the world. Someone who is working on the problem of ending global warming, for example, has a much larger impact on the world than someone who is figuring out how to fit the maximum number of cans of baked beans on a supermarket shelf! The key to remaining productive even during these challenging times is to stay focused on finding a solution and moving forward. Develop a clear vision of what you’d like your business to look like and keep moving forward in that direction. And share that vision with your partners & employees in a way that inspires and motivates them as well. When everyone in your organization from the receptionist to the CEO, all share the same vision for the company, you will all become more productive, and the company as a whole will become more successful, In sha Allah. Truly successful entrepreneurs have an abundance mindset. They don’t buy into the concept of scarcity because they know well that the treasures of Allah are infinite and limitless. Just take a look at nature if you have any doubts. Can you count the number of stars in the sky? Or the drops of water in the ocean? Or what about the grains of sand in the desert? How about the blades of grass in your own garden? The ideas of lack and limitation (and the fear and greed that they breed), are from Shaytaan. He always wants us to be afraid that there won’t be enough, whereas Allah has promised us abundance. Once you adopt this mindset of abundance, you will quickly realize that there is more than enough business and wealth to go around. When you come from a mindset of abundance rather than one of scarcity, you can approach your competitors in the spirit of co-operation rather than one of competition. In fact, you shouldn’t look at them as competitors at all. Look at them as potential partners instead. This opens the doors to opportunities for joint ventures and collaboration that wouldn’t have existed before. And when you have collaborators and partners instead of competitors, you are leveraging both yours and other people’s assets. This means that you can achieve much greater success than you could ever achieve on your own with far less effort. Now that’s what I call being super-productive. If you read the biographies of successful people, you will notice a common thread. Most of them have often experienced several failures before they achieved success. But the key difference between successful Muslim entrepreneurs and unsuccessful ones is that the successful people learn from their mistakes and failures. And they never stop trying. If they fail, they look for the lesson contained in the failure and then, armed with that new knowledge, they pick themselves up, dust themselves off and try again. Always remember that whatever happens, Allah has written our rizq for us, so what is meant for you will not miss you. And that’s exactly what you need to do as well. Chalk your mistakes down to experience and try again, this time focusing on the most efficient and productive way to get to your goal. Use your time and your money to empower others and to improve the quality of other people’s lives, especially those less fortunate than you. One of the most productive uses of your leisure time is to spend it on some volunteer activity that is close to your heart. Whether that means volunteering at a soup kitchen, helping to build a house with Habitat for Humanity or cooking a meal for an elderly neighbor; do something that is meaningful to you. Part of giving back means sharing your hard-earned knowledge and wisdom with others through mentoring and through articles, videos, books and so forth. One of the best ways to learn a subject is to teach it. So make it a point, that as soon as you learn something (either Islamic knowledge or worldly knowledge), you turn around and teach it to someone else, so that they may benefit as well. Perhaps you could write a blog or article on starting your own business. If we all adopt this habit, think of how much more productive and successful we could all become as a whole. Making decisions is always challenging. So how can you make decisions that boost your productivity and increase the odds of your succeeding? So how does that apply to your business? If you want to set your business on the path of accelerated growth, start making decisions from a place of where you want to be, rather than from your current condition or circumstance. Let’s look at an example to make this clearer. Let’s say you’re overwhelmed by all what you have to do. You’re bogged down by low-value tasks, leaving little time to spend on growth and expansion of your business. After reading this article, you think about hiring a VA (Virtual Assistant). But you’re not sure what to do. If you make the decision form where you are now, you won’t hire the VA because you’ll feel this is just another expense. But if you make the decision from where you want to be, you will hire the VA because you know that this will free you up to be more productive and focus on the important stuff. Can you see the difference? Making a decision from where you stand now leads to stagnation and eventual decline whilst making a decision from where you want to be, leads to growth, expansion, increased productivity and success, in sha Allah. A simple way to make this mindset shift is to find a business person who has achieved the goal you want to achieve and model your decisions based on this person. Additionally, as Muslims, we should always use the weapon of istikhara to help us with making decisions, whether they are big or small. Do the hard work that’s necessary to succeed, but remain fully aware that Allah is the one in charge of the final outcome of your efforts. This will keep you humble and always grateful to Allah for His many blessings, including the opportunities you have, for your intellect and for the unique abilities and talents that Allah has given you. Tell us in the comments how this article helped you gain more insights on successful entrepreneurship. Also, check out our new Halal Income Blueprint: How to Turn Your Hobbies & Interests into a 100% Halal Income Online to figure out your passion and how to convert it into a halal online business. 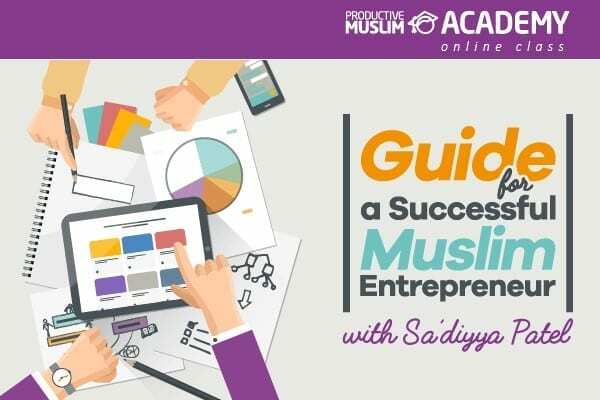 Sister Sa’Diyya Patel is the founder of The Wealthy Muslim Blog and Facebook Community where she teaches Muslims how to earn a halal income online, from the comfort of their own home. Visit www.thewealthymuslim.com to find out more.